VOICES: CCT in ‘Mid-air’: When is graduation not desired? CCT in ‘Mid-air’: When is graduation not desired? “When your son or daughter graduates from elementary or high school, how would you feel?,” I asked parent-leaders of the Pantawid Pamilyang Pilipino Program (4Ps) and barangay captains who were gathered in a Focus Group Discussion. The resounding answer was, “Masaya! (We will be happy! )” for they see it as an accomplishment, the completion of a task. Then, a follow- up question: “What about when you graduate from the Pantawid Program?” In unison, they exclaimed, “Please extend the program, we have yet to cross (tawid) from the hard life”. 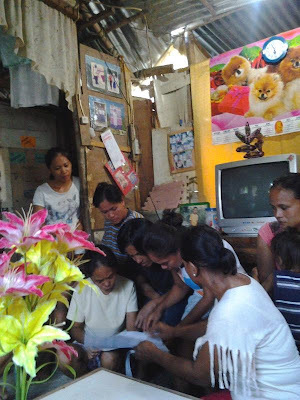 The Abreneans’ plea can be heard across the country, among beneficiaries of the Philippines’ Pantawid conditional cash transfer (CCT) program—even among those from the first set of beneficiaries who have been enrolled in the program since the start. Five years later, graduation is not an enticing option for the 4Ps beneficiaries. For most, graduating them from the program means actually suspending them in mid-air, assuming they have been moving up to step out of the rut they were in five years ago. 14-year-old children who were starters in the program would have finished second year high school, and they would now be around 19 years old. 0-5 year-olds should have completed the immunization requirements, and are better protected from measles, polio, diphteria, and other diseases. Starters between 6-13 years old, would have made the ‘tawid’ or cross from one grade to the next, their parents not having had to worry about their ‘baon’ or spending money for school for 5 years, thereby assuring a higher rate of school participation. Babies would have been delivered more safely at the health centers and RHUs. Parents have better parenting skills, are able to prepare more nutritious meals, participate in community affairs, and manage their time. All of these are empowering, and all of these, each family is supposed to have achieved by the end of the program. Why then the request to not graduate, to extend and expand the program? I closed the conversation with more questions (even if only in my mind). What will it take to “graduate” from immobilizing poverty… and how long is it supposed to take? Emy Perez coordinates the Extractive Industries Program of ANSA-EAP. She is currently documenting the results of the Northern Luzon Coalition for Good Governance’s citizen monitoring of the Pantawid Pamilyang Pilipino Program in Abra. "Give a man a fish and he eats for a day. Teach him how to fish and he eats for a lifetime." Maybe the 4Ps could be coupled with stronger livelihood plans for these participants?